In “Asheville: A History” (2007) Nan K. Chase refers to Grovemont as “unsuccessful,” apparently another victim of the city’s extreme vulnerability to the Crash of ’29. Pictured: a celluloid advertising mirror from the collection. I wonder if this stone house still stands — sure looks built to last, doesn’t it? It does still stand and is occupied. It is the only home in Grovemont with an original zinc roof. 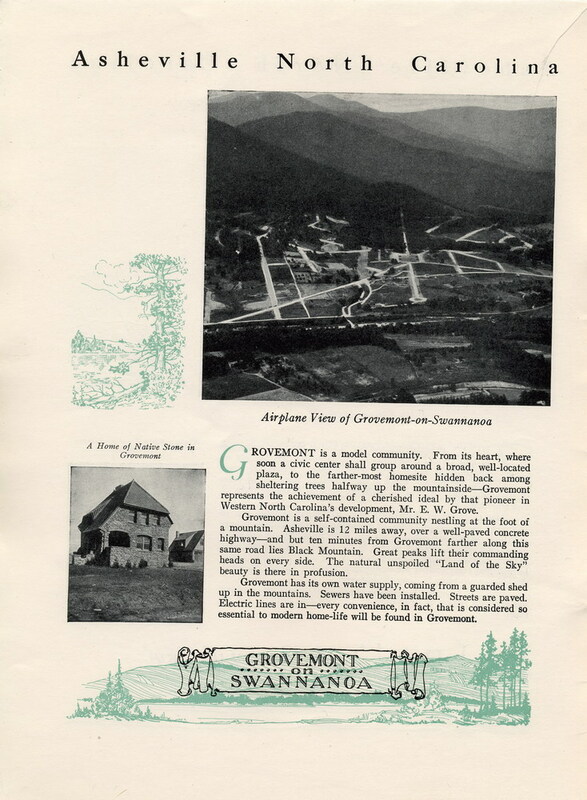 Is Grovemont the first planned community in the US?